If having duel airbags in your car gives you some piece of mind, Volvo’s latest airbag innovation will probably interest you. The Swedish car company, which is known for touting its safety record, has come up with an airbag that is deployed on the outside of the vehicle in the instance that a pedestrian has been hit. 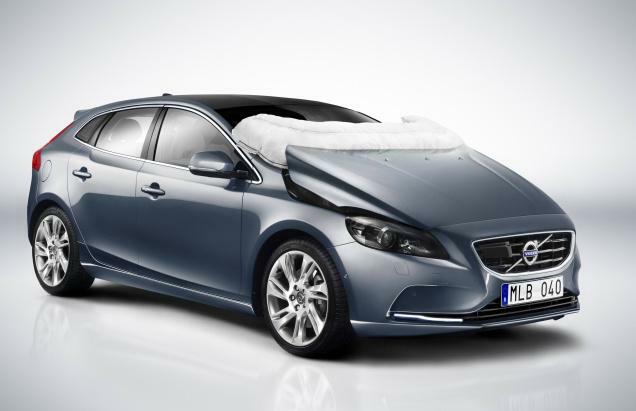 CBS News reports about the hatchback V40 model that comes with a pedestrian airbag tucked into the car’s hood. The airbag is only deployed if the driver should hit a pedestrian while traveling at a speed between 12 and 30 mph. From the photo, it looks like the airbag would come out and just about cover the windshield in the event of hitting someone. According to Senior technology specialist for safety Lotta Jakobsson this area is most responsible for pedestrian suffering serious head injuries in this type of accident. What do you think of Volvo’s new safety feature? Would you be interested in purchasing a car that came with a pedestrian airbag?